MELBOURNE – Perhaps Li Na appeared capable of winning her first Grand Slam title in 2011 when she reached the Australian Open final for the first time but she was not, as Kim Clijsters was a better player than she was then and Li was way too inconsistent. Last year, she came into the Aussie Open final against Victoria Azarenka looking just as good as the Belarussian but fell down twice, hit her head, and was too dizzy to win the three setter. But this year she came into the final against Dominika Cibulkova as a significant favorite as she was 4-0 against the Slovakian head to head and since she looked shaky and was forced to fight off a match point versus Lucie Safarova in the third round, she played lights out. She wasted Ekaterina Makarova, plastered Flavia Pennetta, and put down Genie Bouchard to reach the final. Under her coach of a year and half, Carlo Rodriguez, she has fiddled with her service motion and her backhand –which has always been her biggest weapon –added a more topspin to her forehand and developed a net game. At the age of 31 she is a better all around player than she was in 2011 and that’s what she showed Dominica Cibulkova in her 7-6 (3) 6-0 victory to win her first Australian Open title. She was willing to change, to take risks, because she suspected that was the only way she could go higher. “The choice always right, because if I really want to prove myself, I have to change something, otherwise I will stay the same level forever,” the 31-year-old said. Li certainly had hiccups in the first set as her forehand went off for significant periods. She could feel the pressure of being the favorite and was concerned that the fast Slovak would run everything down. But when she was under control, Li crushed hard groundstrokes deep, and at sharp angles. Her serve has more margin now and she can still keep her focus even when her level is up and down. Her forehand can be fragile, but she kept trying to swing through it. Li served for the first set at 6-5, missed a make-able backhand down the line on set point, and then saw Cibulkova break back to 6-6 with hard backhand crosscourt and bellow out her trademark cry, Pome! The result of the tiebreaker essentially determined the outcome of match. Li ripped three winners to gain a 3-1 lead and kept pushing Cibulkova back. At 5-3, it was the Slovakian who grew tense, and she committed two backhand errors that in a small event she would have handled easily. 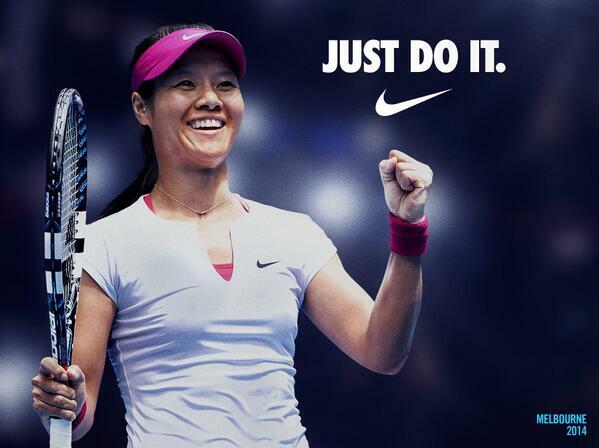 Li won the tiebreak and began to fill up with joy. After that, Li put her nerves outside and dictated nearly every point. She was incredibly focused and lethal. “Maybe you guys didn’t realize how hard I worked mentally to win this,” Li said later. Cibulkova, who reached her first Grand Slam final, had the best major of her life, but she realizes she couldn’t bring her best on the day. She appeared more self-assured in besting Maria Sharapova, Simona Halep and Agnieszka Radwanska, but did not play aggressive enough in the final. The 24-year-old hopes to learn from the experience and be back in the same position again. The title was Li’s second Grand Slam title after winning the 2011 French Open and she said it’s even more special. When the rankings are released on Monday she will be close to the No. 2 spot. She is a long way from passing Serena Williams for No.1 but has a chance to catch her at the end of the year. Her coach, Rodriguez, was able to led Justine Henin past Serena for the No.1 ranking. Perhaps he will be able to do that with Li too. First up, she will take aim at Wimbledon and the US Open. It would be even more impressive to see her go around the block at the Slams.